Le Morne Brabant is Mauritius’ most emblematic mountain and one of the best places to visit in Mauritius. Here’s all you need to know to hike this UNESCO Heritage Site!!! When you think of Mauritius you probably imagine white sand beaches surrounded by the beautiful colors of the Indian Ocean’s waters but hey, did you know that there’s some EPIC mountains you can hike just a few minutes away from the beach? In this article you will read all you need to know about hiking Le Morne Brabant, a majestic mountain of wonders located in the southernmost part of Mauritius from which you can appreciate an unique underwater waterfall. Underwater waterfall? Say what? Enjoy this article and I hope you have a very wonderful week my friends!!! 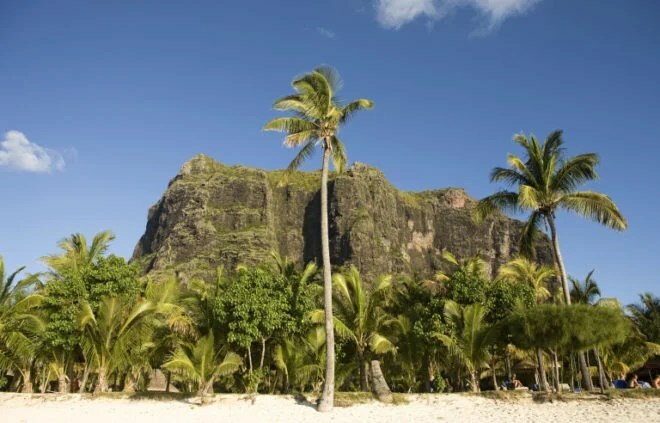 It might surprise you to know that Le Morne Brabant is one of the two UNESCO World Heritage Sites of Mauritius. “A mountain? Really? I know the views look supercool but why?”. At first, the ocean seems empty. Through my snorkelling mask I see only a deep blue nothingness. Then suddenly they are there; dark, lithe shapes gliding in perfect formation like aerobatic pilots. The spinner dolphins seem oblivious to my presence, cavorting around me for the fun of it. They come here every morning, dozens of them, to a sheltered lagoon framed by jagged mountains off the coast of Mauritius, to rest and play in tranquil water. Swimming among them is an encounter with nature in one of her most enchanting guises. They are like smiling torpedoes, cruising with effortless power and grace in an endless realm. I just wish they didn’t swim so fast. Even with fins on I keep pace for barely half a minute before their tails flip farewell, and they are gone. We are lucky. We came early when there were only a couple of other boats of dolphin chasers. By the time we leave, the bay is crowded with dozens of boats and people thrashing about in pursuit of flashing flanks. The best plan is to come early, like the dolphins. The Tamarind Falls (or Seven Cascades) is the one of Mauritius’s canyons and is not to be missed. Located in south-west Mauritius, it is an amazing combination of 11 waterfalls, mountains, rivers, forests and lush green vegetation. In 1834, 36 impoverished men from Bihar and Bengal set sail for Mauritius to work as indentured labour. Over the next 80 years, more than two million people would travel to some 20 European colonies, the first of a global Indian diaspora, before indentured labour was abolished 100 years ago. 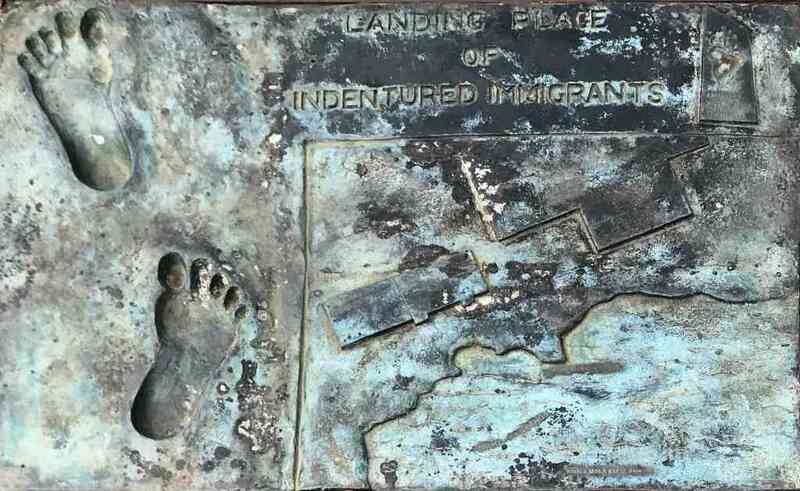 When the British abolished slavery in 1834, they populated their plantations with indentured labour from India, launching the biggest international movement of workers after the notorious ‘middle passage’. In 80 years, more than two million Indian labourers were transported to about 20 British colonies before it was stopped in 1917 under intense pressure from Indian abolitionists. This year marks the centenary of the abolition of indentured labour. Kalachand was on the verge of collapse when Champa, a fellow tribesman from the hills of Hazaribagh, came looking for him that fateful September evening in 1834. 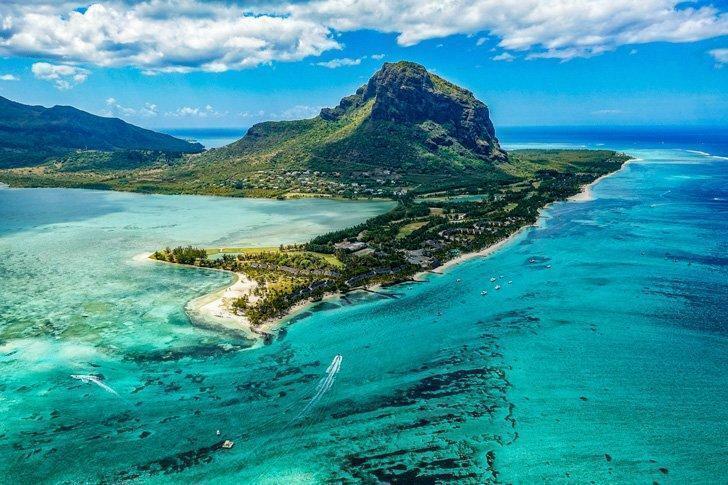 The Indian Ocean island’s tourism office has launched a major campaign to promote Mauritius as a hotspot for nature lovers and family vacations. There’s more to Mauritius than honeymooners and newlyweds. The Indian Ocean island’s tourism office has launched a major campaign to promote Mauritius as a hotspot for nature lovers and family vacations. If you still need convincing, check out these five stunning natural landscapes with views to delight any visitor to the island. 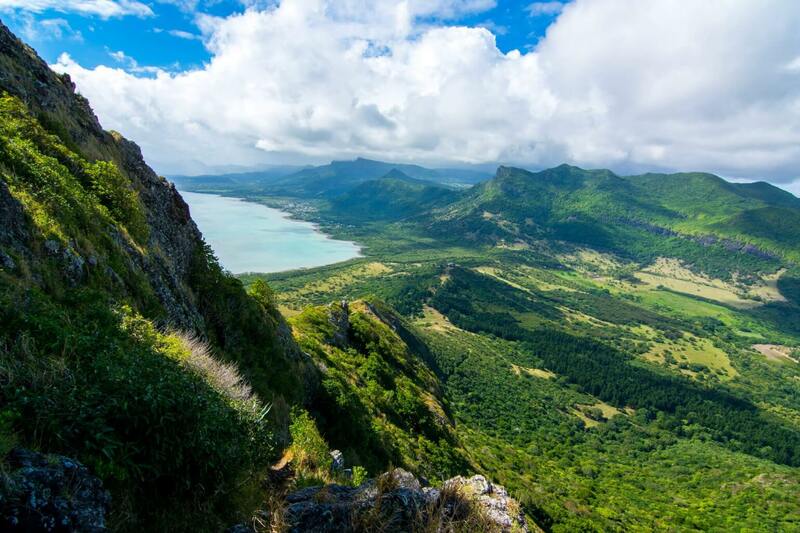 This is the picture-perfect landscape that you’d expect to see on postcards of Mauritius. A UNESCO World Heritage Site, Le Morne Brabant is a rugged mountain peaking at an altitude of 555 meters. It is a landmark in the landscape of the southwestern Mauritius coast, where vacationers laze on the island’s idyllic beaches. 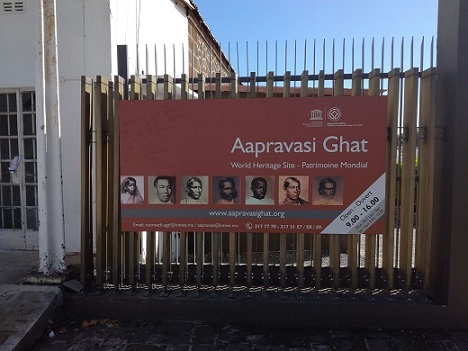 The Republic of Mauritius received International Assistance from the World Heritage Fund to elaborate a Local Economic Development Plan for Aapravasi Ghat World Heritage property. 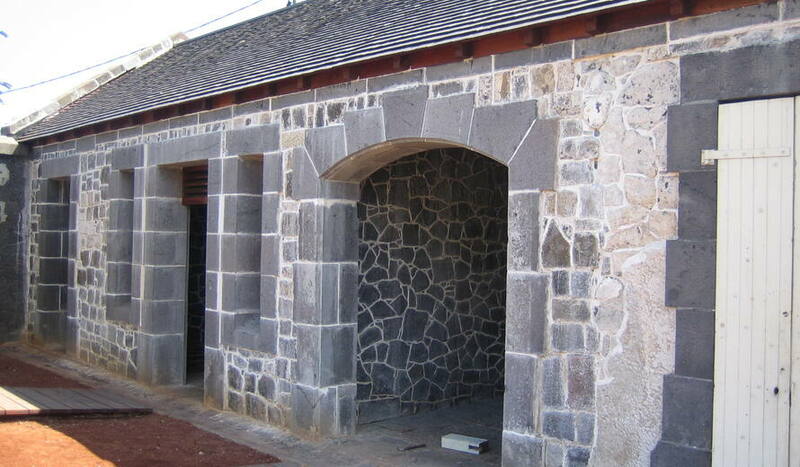 The grant followed a request from the UNESCO World Heritage Committee for the State Party of Mauritius to take necessary action to prevent the demolition of historical buildings in the Buffer Zone of the Aapravasi Ghat World Heritage Property, as well as to put in place mechanisms that ensure integrated management of the area. The project, managed by the Aapravasi Ghat Trust Fund, was initiated in May 2014 and ended in September 2016. The elaboration of the Local Economic Development Plan was guided by the UNESCO 2011 Recommendation for the Historic Urban Landscape along with the United Nations Sustainable Development Goal 11 to ‘Make cities inclusive, safe, resilient and sustainable’.